It wasn’t one of those finest days, I felt from inside. Neither it was one of those beautiful winter mornings. The day was very simple. There was nothing special about it. I really don’t know how it happened. But yes, it did. It happened in between my exams. A sudden shocking thing. My mind was spinning. Have you ever lost your love without a fight? Well, I have lost him that way. I called him several times. No Answer. I lay in bed all alone staring at my phone. I tried to sleep. But my heart stumbled. The hour passed. Finally, the phone rang. I felt numb. The world around me gave me an ugly stare. I tried my best to not let him go, but, all my efforts went in vain. There was a black cloud of sadness that took over me and it only gave me a power to breathe. I felt as if a part of me is being detached. I felt a sudden shock running down my body. I sat down, where I was. My heart was broken. Pieces lay scattered across the floor. 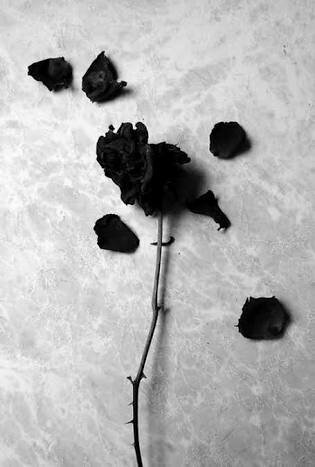 Suddenly his words felt like a dead flowers where forever never came. I felt like a lost soul fading into the depth of hell. The room grew colder and my eyes wept silently. I felt as if now I am nothing but just a dead soul who will be living a ruined life. Weeping all alone in my room, I took out my diary, the very first page of it read.. It was the first day when I started writing and it all began from him. Tore the pages apart. It was a rage. The promises are broken now, i said to myself. The blue inked stories lied there crumpled and suppressed. Because the flow was broken now and nothing could be fixed. That very moment I decided, not to write anymore. I lost him. I waited for him for two years in a false hope of him to return. Days without him, millions of minutes without him. Two years of complete silence. It’s been seven years now. Today when I go through the old memories, it haunts me. But yeah, I started writing again, now. Things are okay with me. Well your work was felt to the core of me ! yup I lost my 1st love without a fight.. but m happy now for the last 8years with my Dear one. Writing is a way to deal with your emotions. Keep writing! The #promises are broken now, i said to myself. We need time to process, to grieve and get over the pain. I am glad you started writing again!